July 30, 1963 was a marathon day for the Beatles. The group – in a very big rush to finish their second album – recorded six songs in less than 10 hours, sandwiched around a radio session and interviews. 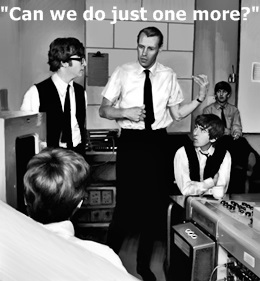 Producer George Martin had hoped to squeeze one more song from John, Paul, George and Ringo, but was told – emphatically by George Harrison – that he wasn’t going to get it.